I’ve said it for years, but ELA centers are the most peaceful time of the day. It’s the time of the day when we’re most productive. 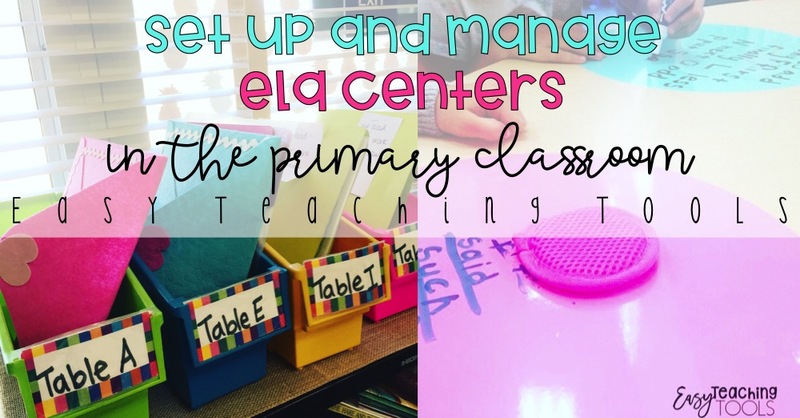 Let me help you set up and manage ELA Centers in your primary classroom. During this time, students are working independently in heterogeneous groups while I pull homogeneous guided reading groups. We do centers for an hour, every day. 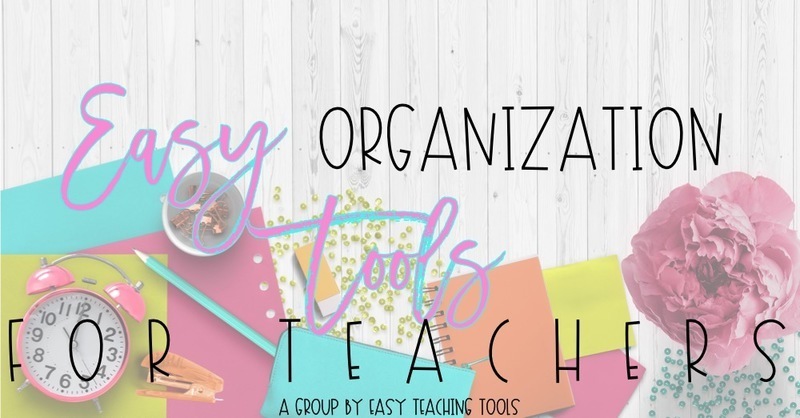 I am paid a small fee from Amazon for sharing some of my favorite ELA resources with you! I always look at the skills and standards that need to be covered for the week. I pull materials I have from my ziplock bag storage system. I store each center in a ziplock bag and put them in a magazine holder and label the holders by month or skill. 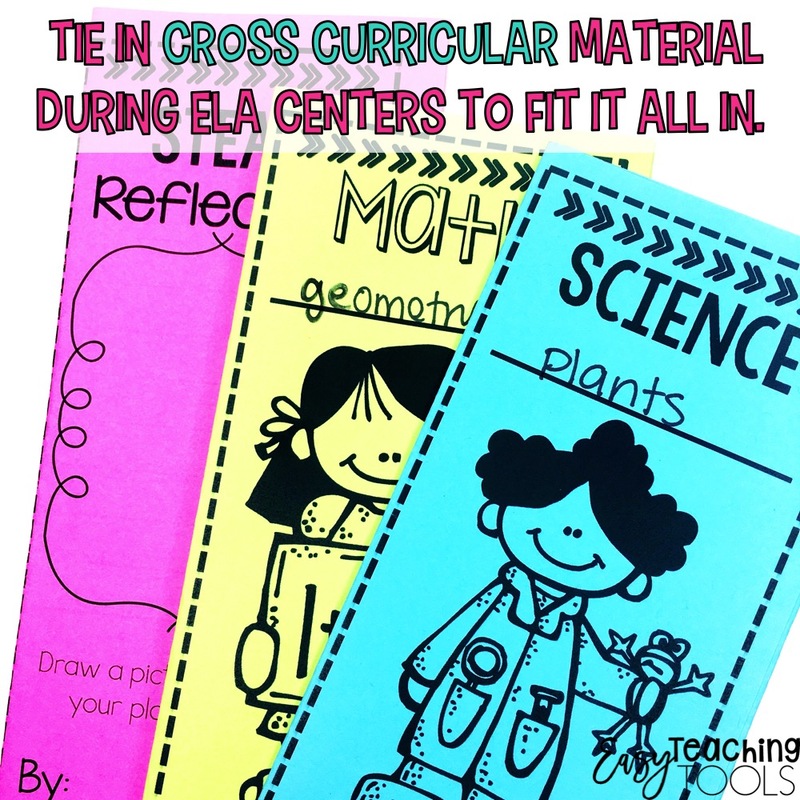 I place the materials in a folder and toss that into our bins. On Monday, students from Table A will work on all of the materials in the bin. You can see how we rotate through the centers for the week in the video at the end of the post. 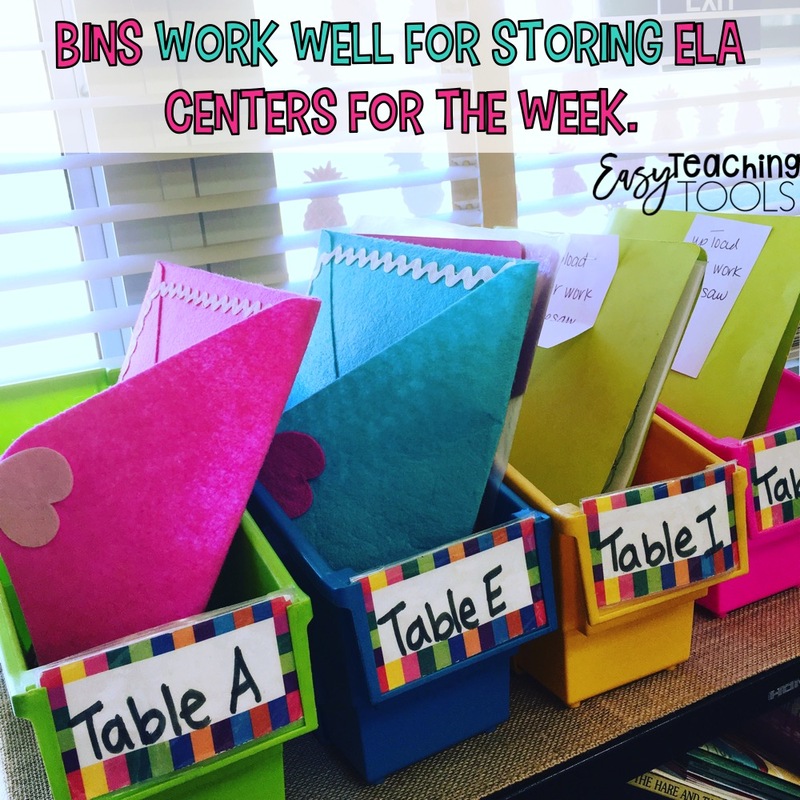 What’s included every week in ELA Centers? I believe in a balanced literacy approach so in our 5 weekly centers, we cover writing, work word, and independent reading. Oftentimes, I will tie in something thematic depending on the holiday or what we’re learning. This is an easy way to tie in more science, social studies, and art. Oftentimes, students are working on a writing prompt from the week from our reading curriculum or I include these fun prompts I bought years ago. Students will simply grab a prompt that interests them as well as their journal and get to work. It takes zero prep. Every few weeks, I simply change the prompts out. Once a month, we will do our printing contest during centers. Students absolutely love it! 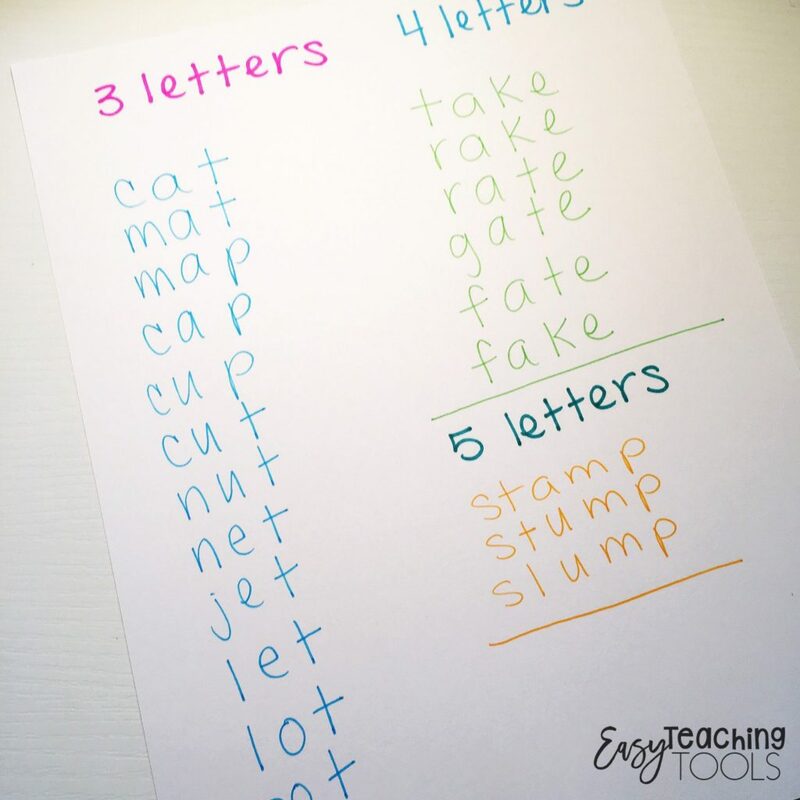 I always included a word work activity to game to reinforce the phonics skills we’re learning that week. Sometimes, I spiral the skill and include things we’ve already studied, for reinforcement. 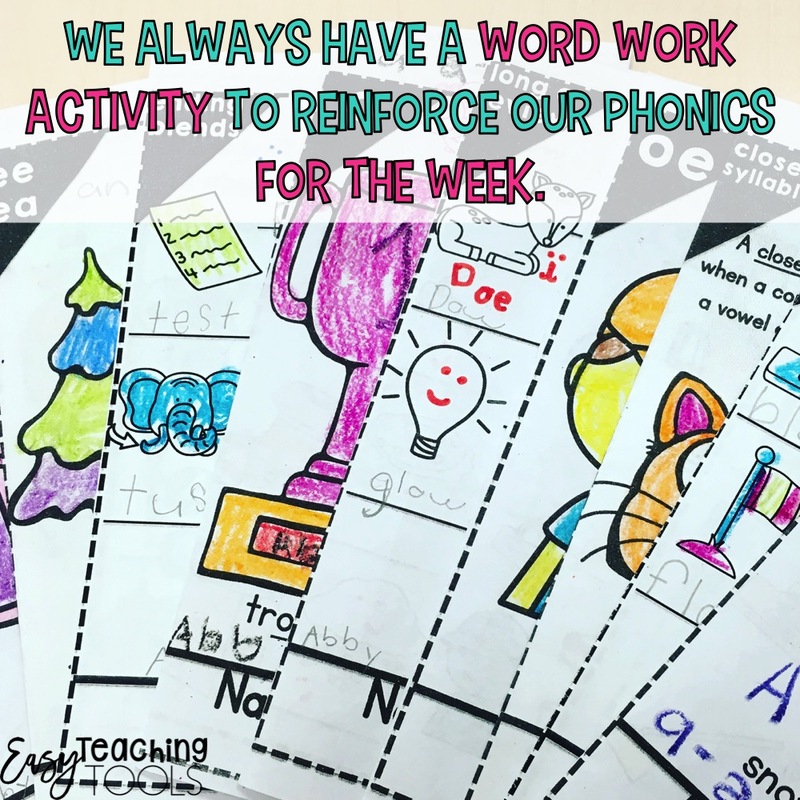 My students love the phonics pamphlets because they include work work, comprehension, and writing in one pamphlet. My students love playing “roller coaster.” It takes no prep. and is great for independent or guided reading practice. Learn how to play it here. 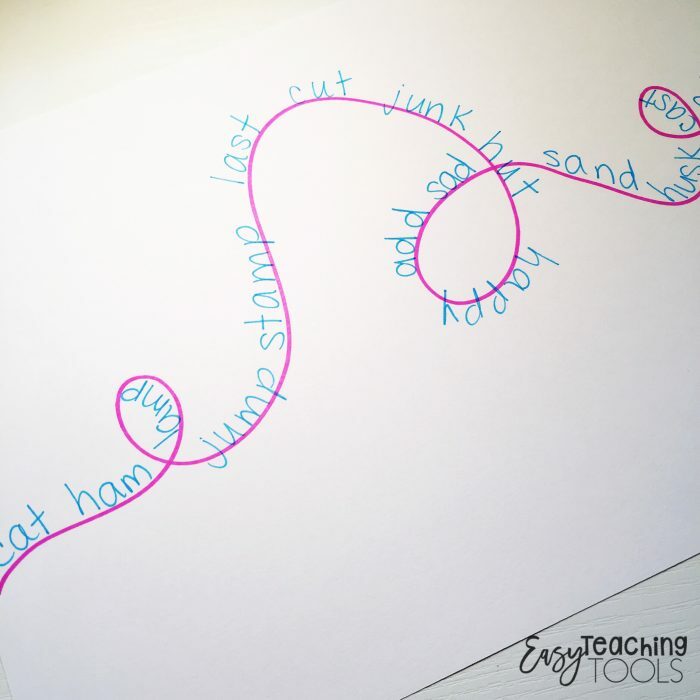 “Word Worms” is another fun game they love doing. It differentiates itself and is a lot of fun. I have these in my early finishers pack as well as my phonics pamphlets. I wish we had more time to fit everything in, but we don’t as teachers. One way I like to tie in other subjects is by adding them to our literacy centers. With these pamphlets, students are writing as they reflect on a topic or skill we’re covering. I also like to tie in our reading comprehension to a unit of study in social studies or science. Giving students plenty of opportunities to read independently is crucial for beginning readers. 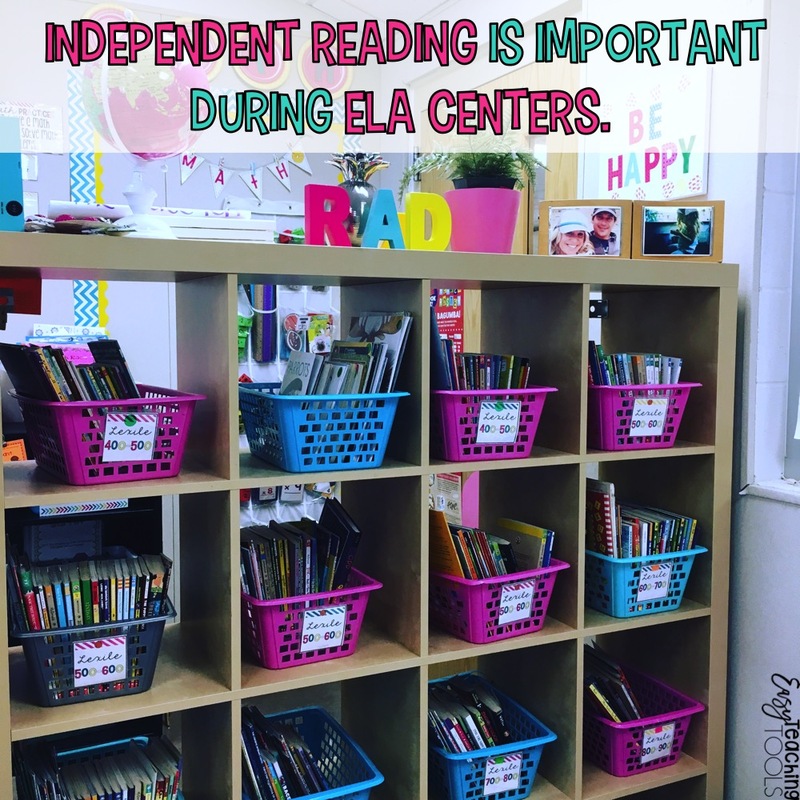 During this center, students read books at his or her independent level. This year is the first time I haven’t used a traditional listening center. I traded mine in for a free program called Epic. I can assign books to students that they can read independently. Students love finding books by interest and getting cozy as they read in our classroom library. 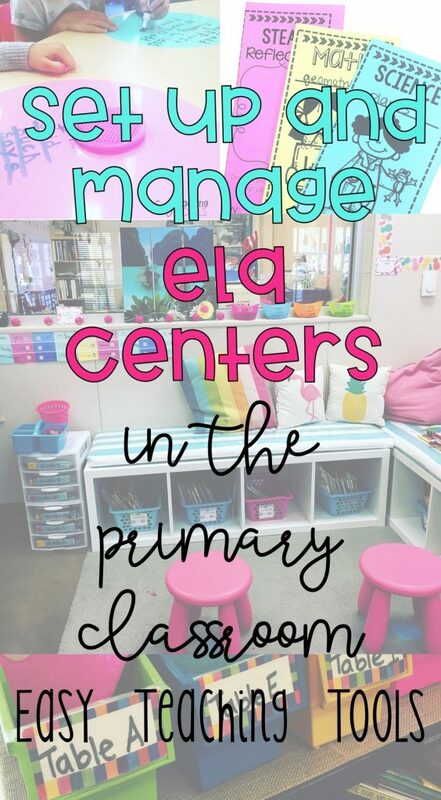 I hope you found these ideas to set up and manage ELA centers helpful. Next time, let’s chat about managing the actual centers and what do with early finishers. Can’t wait? Check out the video here. Thank you. Are u doing another video on what you do in you group as well? Do u see 2 groups in 30 min ? Also do you have a sample Daily/ weekly schedule available somewhere? Thanks again. 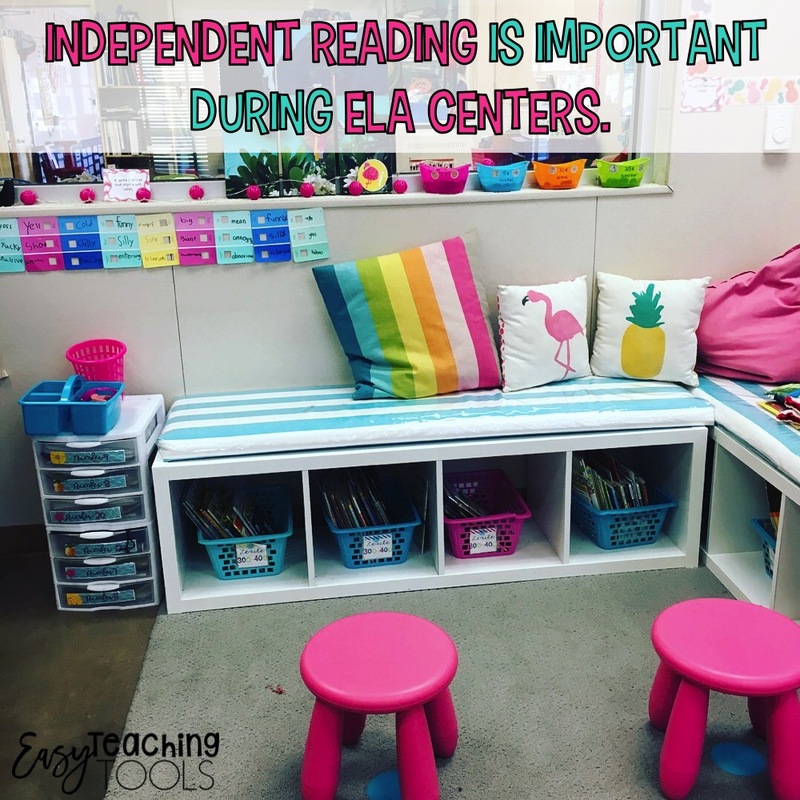 I will be doing another post with more info about managing centers as well as guided reading. I typically see 2-3 groups in that hour time. I have a schedule in another post here. I am a first year teacher and this is the area I struggle with the most. 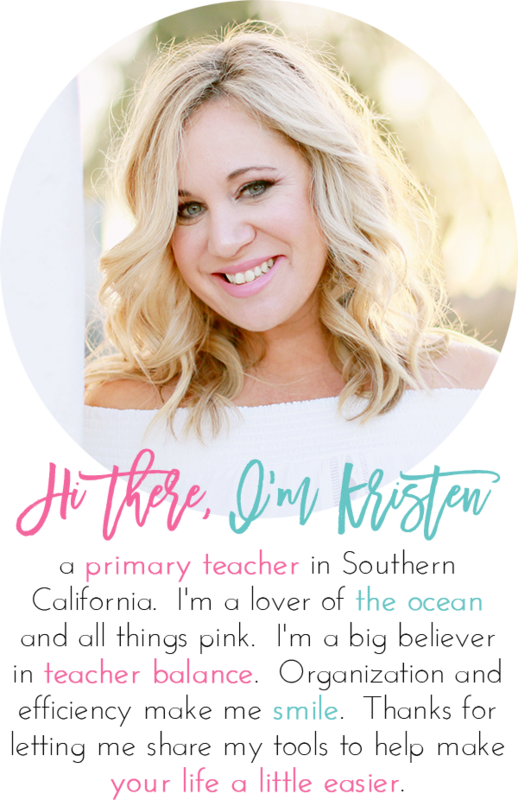 I teach Kindergarten and my two lowest groups are supposed to be doing interactive writing with me instead of reading traditional books. I have had no real experience with it before now and I am always doubting my centers.